Mayur Didolkar is the author of the new story collection Nagin. His other work includes the suspense novel The Dark Road. A wealth manager and a runner, he's based in Pune, India. Q: Over how long a period did you write the stories in your new collection? A: First of all, thank you, Deborah, for having me on your blog for a second time. Nice to be back here. Nagin (which literally means a female cobra) came about as a result of a mail from my publishing house Juggernaut last June. 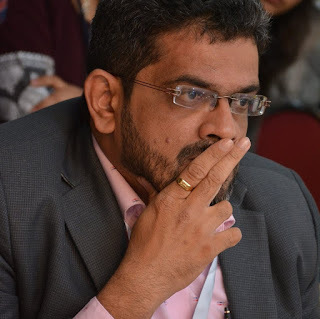 My executive editor, R. Sivapriya, wrote to me asking if I was interested in exploring the genre of shape-shifting humans (who can morph into snakes at will) for a couple of short stories. As an avid Hindi movie watcher, I have always been fascinated by this genre and thought it would be an interesting project to replace the clichés surrounding this topic, and write a few smart, urban stories of spook involving shape shifters. And then the way it happened was I sent a few ideas to Sivapriya and she liked them so much that we decided to do a short story collection and bring it out in print format too (instead of only on their digital platform). Sivapriya has been my champion in Juggernaut since my first book with them and she worked this unusual book through the system to bring it in its present format. Q: What themes do you see running through the stories? A: As I mentioned, shape-shifters, men and women who can take the form of snakes (and a few other animals), is the single common thread. However, you will notice that I have consciously stayed away from the somewhat clichéd stories about revenge and love that are associated with shape-shifters (or ichcha dhari as they are called in Hindi) as far as Indian popular culture goes. So for instance in one story, “The Laughing Heart,” we explore the highly unconventional premise of what would happen when a gang of shape-shifting jackals from outer space show up at your local pub on comedy night? I am sure at some point almost all of us have wished we had some trait of a wild animal. The characters in my stories have those traits and we try to find out what happens when those animal traits are combined with very human emotions. A: Thankfully, my editors at Juggernaut took care of that. I wrote stories in a fairly different order from the one the book follows. I am actually very happy to see the sequence and I dare say the reader reading from story one to story nine would actually feel a subtle thread of continuity running through them. A: I have finished writing my fourth novel that I am calling A Bad Place and right now my editor and I are engaged in editing the book, making it ready. We hope to have it out later this year. As the name suggests, it is a story about one of the most common horror archetype: the haunted house. However, again like in Nagin stories, I have tried to mix the elements of modern urban life with the mythical haunted house and the results are fairly spooky even if I say so myself. Now, I am sort of doing the ground work for another short story collection that can be called Urban Haunting...How many times we city dwellers pass that one abandoned house, that one closed hotel which somehow stands right smack in the middle of a busy hub? What are the stories behind such places? What would happen if whatever bad lurks in those abandoned places and empty fields decides to haunt a very urban place—like, say, an ATM? It is still at a primary stage but I am having huge fun working it. 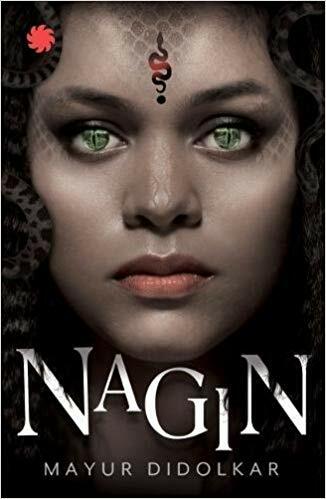 A: As per the rights manager of Juggernaut publishers, a lot of TV and movie productions houses are showing interest in the Nagin stories and we may very soon some of these stories getting adapted for screen. Also, and it is still at a very primary stage, but my editor and I are exploring the possibility of doing a sequel of sorts to Nagin. Will keep you posted. --Interview with Deborah Kalb. 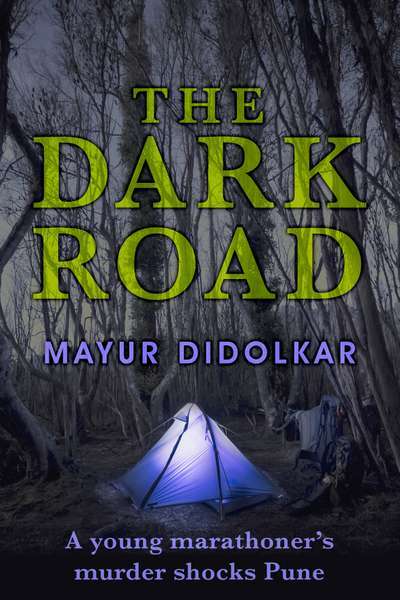 Here's a previous Q&A with Mayur Didolkar.